Thanks to our partner restaurants and hotels for their generous in-kind support. Monday through Saturday 4:00 p.m. – 10:00 p.m. Walk into La Jolla and you will find styles spanning from the esoteric to the fanciful, with a divergent customer base ranging from black tie to blue jeans. The simple decor allows for a contemporary yet casual atmosphere. Serving dinner only, La Jolla focuses on offering consistent quality & customer service. The menu offers something for everyone from small plates to meats cooked to perfection from The Big Green Egg to exquisitely created entrees that have become synonymous with La Jolla. The wine list includes 100+ wines focusing on American wines with 8 beers on tap. Please note: La Jolla is an adult atmosphere restaurant and respectfully requests no children under age 12. Tuesday through Saturday 5:00 p.m. – 10:00 p.m.; Sunday Brunch 10:30 a.m. – 2:30 p.m. Located in Old Cloverdale, Vintage Year offers fresh Gulf seafood, hand cut steaks, excellent wine, and specialty spirits. From dinner with friends and family to the most memorable special occasions, Vintage Year is an important part of Montgomery’s social scene. Vintage Year is dedicated to offering guests the finest hand-cut meats, freshest seafood, outstanding wines, and specialty spirits while providing top notch customer service. From office luncheons and receptions to large-scale weddings and formal dinners, Vintage Year also offers private restaurant dining and full-service gourmet catering. The Tipping Point is a neighborhood pub focused on craft beer and cocktails, with a family friendly food menu and atmosphere. 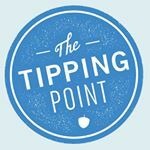 The Tipping Point is known for its well-curated beer list, exceptional cocktails, family-friendly menu, and knowledgeable staff. They regularly feature special releases for regional breweries and tap-takeovers. They are able to host small groups inside, large parties outside, and love to help plan special events. The Tipping Point also features a ton of outdoor seating, TVs tuned to local and international sporting events, and live music from local artists on Friday nights. Saturday 10:00 a.m. – 10:30 p.m.; Sunday 10:00 a.m. – 9:30 p.m.
Little Donkey was born out of a love of the vibrant flavors and brilliant combinations that traditional Mexican cooks have created for centuries, and is happy to serve vibrant Mexican cuisine to new guests every day. Monday through Friday 6:30 a.m. – 2:00 p.m.
Breakfast and lunch venue serving up bonafide Southern cuisine. Embassy Suites Hotel & Conference Center offers impeccable accommodations for everyone. Enjoy a spacious two-room suite perfect for the whole family and high-quality services, including a variety of amenities. Click here to get a special ASF rate. Remember to ask about the ASF patron discount when you call the local number of any partner hotel.